Below you will find our review for the Cisco SPA303 IP phone, followed by sections on setup, installation and what is in the box. The SPA303 appears to be a well made phone with good form, fit and function. It has a decent feature set, such as call waiting, call hold, SLA, caller ID, call transfer, conferencing, park, swap, forwarding, paging and much more. This phone has 2 Ethernet ports which act as a 2-port switch. This can be useful for some customers as one cable can come into a cubicle, for example, and another cable can be used to connect the SPA303 to a computer. It includes 3 voice lines which can be useful for small companies that like to give the appearance of a larger business. Set up an auto attendant and map multiple extensions to this phone. The phone has an intuitive menu driven user interface and supports auto provisioning (remote provisioning). LEDs are used to indicate whether the phone is registered with a PBX and a nice large red LED is used for voicemails. My biggest gripe with the phone is the browser configuration. The phone has a nice menu for basic setup but if you need to manually provision the phone, you need to login to the device using a browser. 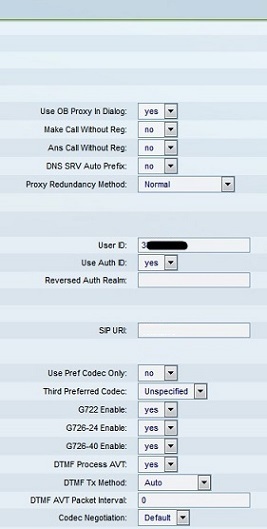 This is standard for most IP phones, but the Cisco configuration seems more complex than other manufacturers, in my opinion, and it is easy to miss a setting. There is also very little help for each configuration field. For the price of this phone, I would expect 10/100/1000 Ethernet ports and a color LCD display rather than monochrome. Alas, none of these can be found on the SPA303. This makes it relatively expensive compared to other manufacturer's phones. It also does not have Power over Ethernet (PoE), which may put off some business users. There is no backlight for the display so in poor light conditions it can be hard to read the menu options. The SPA303 costs around $90 retail. This is relatively expensive for a lower end phone. If you need 3 voice lines and the option to use a headset or speaker phone, the SPA303 is worth looking at. 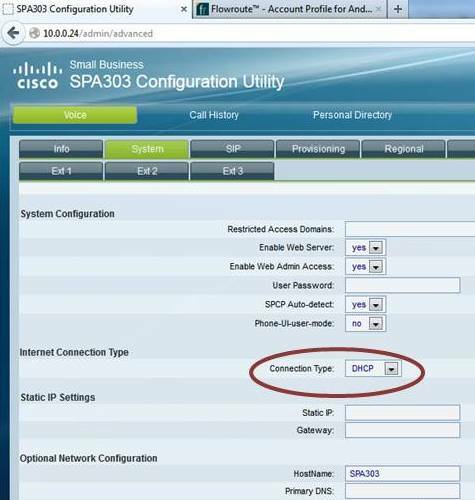 Make sure your provider can auto provision the SPA303 for you. If not, set aside some time to configure this phone manually, although the instructions below should make this easier! 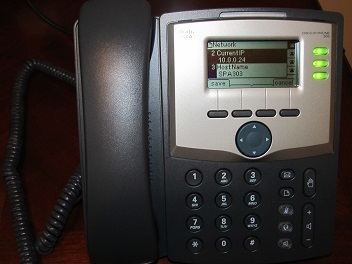 The Cisco SPA303 is a very decent phone and works well. The sound quality is top notch, as you would expect from Cisco, and it has a decent feature set. The basic needs for most users are clearly found and intuitive. However, it is an expensive phone considering it has no PoE, no Giga-bit ports and no color LCD display. Verify with your provider that they can auto provision this phone for you, as otherwise expect some frustration ahead. The SPA303 phone, handset, handset cord and a stand. Setting up the phone on my desk was very straightforward. Simply connect an Ethernet cable to the network, plug in power and connect the handset to start initialization. Select the Menu key then use the 4 way key to find Network (number 9 for my firmware version). 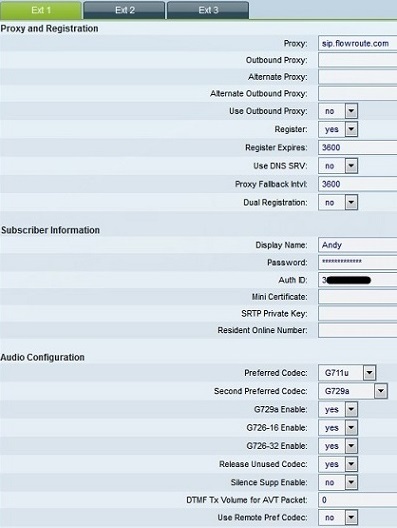 Scroll to current IP (number 2) and your IP address will be presented. In my case it is 10.0.0.24, as shown in Figure 1. Make sure the connection is DHCP. Enter your password and user ID for your provider. Apply these settings (Submit all changes) and make sure the phone resets, initializes and is then registered with your provider. These instructions should help show you the basic steps needed in the installation and configuration of the SPA303. 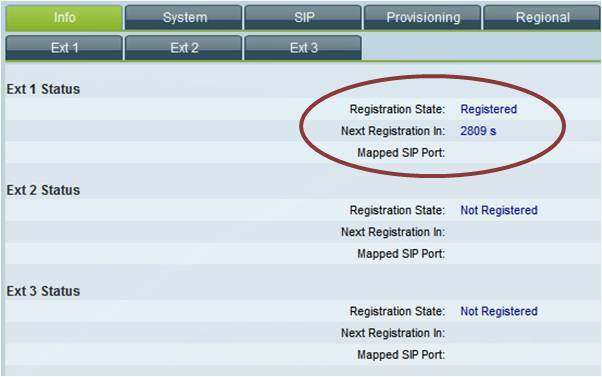 For more in-depth guides on configuring the Cisco SPA303, consult our Flowroute guide and our Asterisk PBX setup guide. 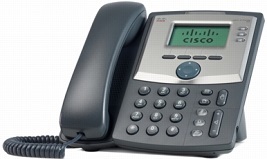 Cisco SPA303 reviews are listed in chronological order. Great phone, great price, good features. Does not support POE but came with a power adapter. Also a nice professional looking phone with good sound quality. The telephone system was a great choice for our company.